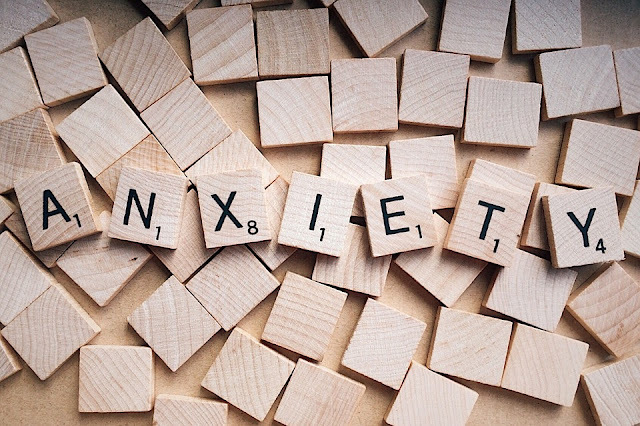 The word ‘Duschinta’ is the Hindi transformation of English word ‘Anxiety’, which is made from the word Anxious of Latin language, which means ‘Stay of Agitation’ in English or it means in Hindi ‘ the condition of Agitation’. Anxiety has been defined differently by different psychologists. Freud (1936): Anxiety is a stoppage in the human development. There is an important role of anxiety in human behavior in the materialistic age of today. It is not clear and invisible in the beginning. As soon as it develops, it nature becomes serious, by which changes are seen in the behavior, activities and daily routine of men. Solian (1955): Anxiety is the condition of painful mental stage, which is arisen by past personal experiences. W. Liscar (1956): Anxiety is the physical and mental movement. Lorel (1955): Anxiety is the fruit of behavior of parent with children. Drever (1958): Anxiety is the mixing nature of many emotions, in which anger, fear, low self esteem, jealousy are included. Colman: Anxiety means by the worried of liberal and directionless. Fisher: Anxiety is the process of that those internal, personal and enter less worthy difficulties in mental seizes. Roznav Gragti: The man who is suffered from this disease, restlessness, doubt and liberal directionless worried in him. R.R. Willard (1965): Sudden changes in civilization is the most important cause of anxiety. Kaimran: There is maximum emotional stress and liberal worried in found in this type of patient. Mandugal: Anxiety is produced from fear. Bugleski: Anxiety is a starting element in the learning of any work, anxiety is produced as the result of efforts of protecting from the curiosity obstacles, the desire of reward and punishment etc. Movar (1950) said that modern environment is the cause of arising anxiety, in which alcohol, smoking, addicted tablets, gambling and more sexual tendency etc are found. Movar has said further that today’s modern techniques, materials and outfits, cerebration in the cocktail parties and more tendencies in the materialism are helpful in anxiety, as a result, unsocial works are done by man as: murder, suicide and divorce etc. Movar has written in his book that anxiety was not studied before 1930 in the psychology. The study of anxiety is started in psychology, when Freud and his followers studied anxiety as a human development. Daidald and Miller have said (1950) anxiety is added with the personality of men. Searches have also accepted it. Anxiety has attracted the attention of many psychologists for a long times. In fact anxiety is curse for human life, when it is out of control. When a little bit anxiety is told necessary for the development of man, on the other side, out of control anxiety is the cause of destruction of man. Especially it is dangerous for the teachers, trainers and the students of school. Anxiety is arisen due to the hindrance in the work. Anxiety is the emotional explosion to the helpless stage of a man. It is the statement of Meddler and Watson (1966)— when a man does any work, any obstacle is arisen in the limitation of period of work and there is no other alternative of that work , man finds himself in the mental weakness and helpless condition, which is conserved as an anxiety. If work is difficult or in spite of being easy it is out of the reach of man, it is natural for a man that he becomes the victim of anxiety. Spans and Spans (1966) have told that anxiety is always depended on the difficulty and capability of work. Anxiety can be divided into two parts on the basis of nature of it. It is the statement of Freud (1953) that anxiety is a baseless and shapeless mantle thinking, according to it, which anxiety is supported without any reason, that is put under it. Explaining it Olpe (1969) has said—That liberal directionless anxiety means such types of worried men have lack of concentration, incapability in taking decision, more emotionalism, discouragement and mental stress is found without any reason. According to Colman—The meaning of this type of anxiety, as- internal chaos, unhealthiness, the death of beloved, failure in the examination and the arrival of any man, such worried come under it. Some men are such, who are hardworking from nature but get worried by many reasons, which causes painful physical and mental traits in them, this condition is found mainly in the old age, which give suffering to some people with the disease of mental defect. There are some people, who are depended on others, less intelligence is found in them and such people fear from the confronting of difficulties of life. These people are self centered and selfish. And sometimes they are trouble for others. Because of these defects as weakness, selfishness and incapability, the traits of mood defects are developed in these types of men. Freud (1940) has said that some married women are such who are not emotionally developed completely. They adapted the nature of in generosity and intolerance. If she gets married with the strict man, the feeling of loneliness, inferiority and insecurity developed in her. as a result her life is filled with quarrel and they become suffered with the seizes of worried. Freud (1933) has said about the theory of anxiety that there is a great conflict between the ed, ego and super ego, which developed mental stress, that is anxiety. Namely the absence of these three orchestrated by mutual anxiety is born. Cornhani’s (1937) has said about the principles of anxiety that anxiety is increased in child because of social effects not by organic factors as Ed, ego and super ego. It is considered that in the starting child fears from his parents and society. Child tries to adjust himself with the society by the quarrelsome atmosphere and hearing the criticism by the family member, which is considered as the theory of trial and error. It is his statement that dual organic factors are not found between Ed, ego and Super ego. But among the needs.